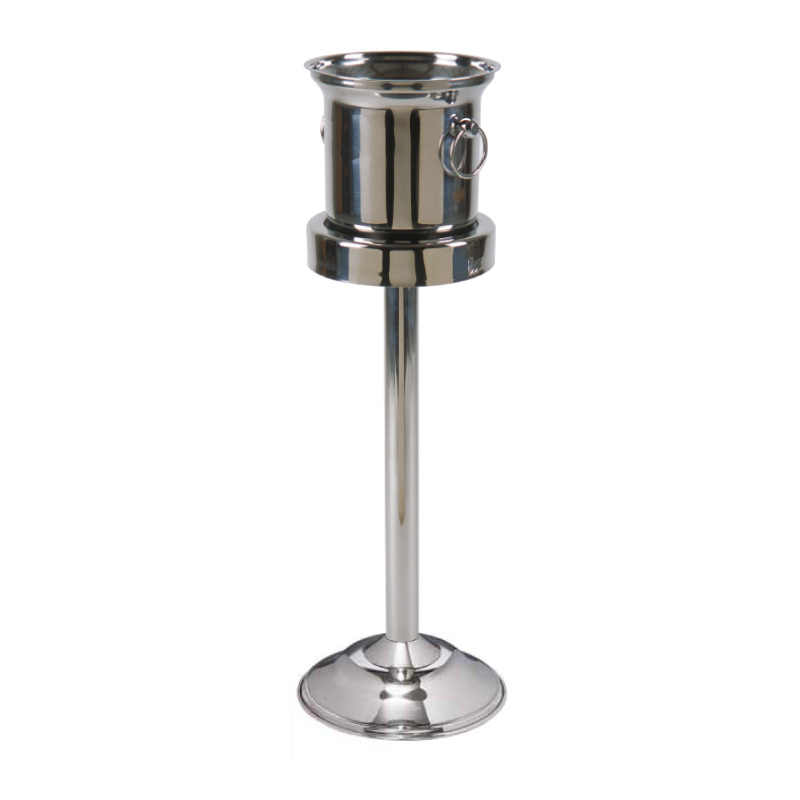 Ice Bucket Stand in heavyweight, polished stainless steel. Must-have accessory for cooling the champagne. Elegant table-side chilling for top-end dining establishments. Ice Bucket Stand can be personalised with laser engraving or print to the rim. A natural companion for the Traditional Ice Bucket. Will fit ice buckets with a diameter of 17cm or smaller.